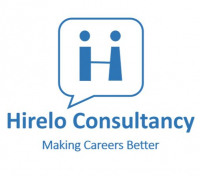 Hirelo is an organization that providing job matching services among companies and people through workers fulfilling for contract and permanent positions. Hirelo is unique and efficiently tailored solutions to clients’ requirements for people placing. It is building a reputation for delivering and innovate service offerings to suit individual client and candidate needs via all media to source leading and potential talent.